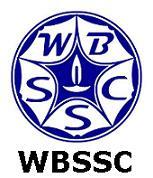 West Bengal Staff Selection Commission (WBSSC) has just conducted today the written exam for Lower Division Clerk/ Lower Division Assistant recruitment 2016. Some mismanagement have been found! Few questions have been repeated in the paper. There are almost 10 questions which are repeated. Anyway, as usual we are here to give our review on WBSSC LDC/ LDA 2016 exam held on 12th June, 2016. The overall question paper was easy to moderate. Few questions were tricky that will lead to make you mistake! Let me give a subject-wise analysis here. Math/ Quantitative Aptitude: This part was moderate. Some tricky questions were there. Questions were asked from profit and loss, simple and compound interest, time and work, LCM and HCF, discount, ratio, partnership, mensuration etc. English : This section was easy to moderate. Questions were asked from error correction, synonym/ antonym, preposition, articles, group verb, idioms, appropriate word etc. General Knowledge: The general knowledge including general section is quite moderate. Few questions are confusing. It will make you to commit mistake. If you do not read the questions for the second time, you must mistake while solving. Although number of those questions were not too much. We have earlier mentioned that the paper was overall standard as expected. Solving 80-85 questions with accuracy is a good attempt in this question paper. We will discuss later about the expected cutoff marks of WBSSC LDC/ LDA 2016 exam because it is not proper time to talk about the cutoff marks rather better to correct your mistake committed in the paper! 0 comments for " Review on WBSSC LDC/ LDA 2016 exam held on June 12 "